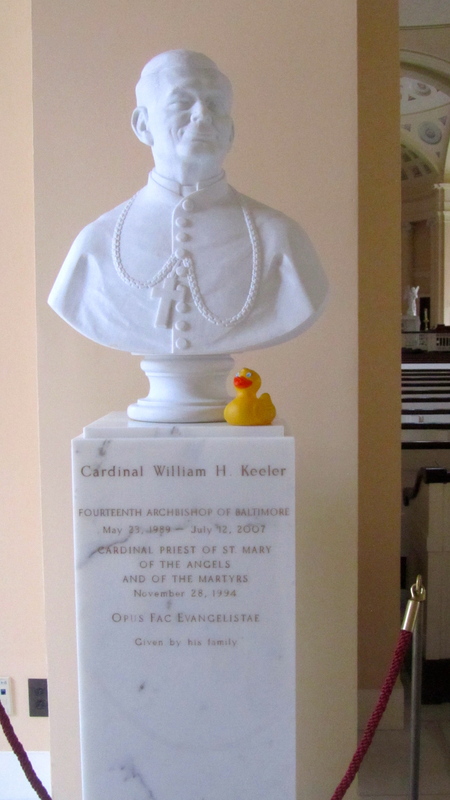 I, Zeb the Duck, visited the first Roman Catholic Cathedral in the United States. Mom and I were in Baltimore for a conference, but did some exploring of the city. 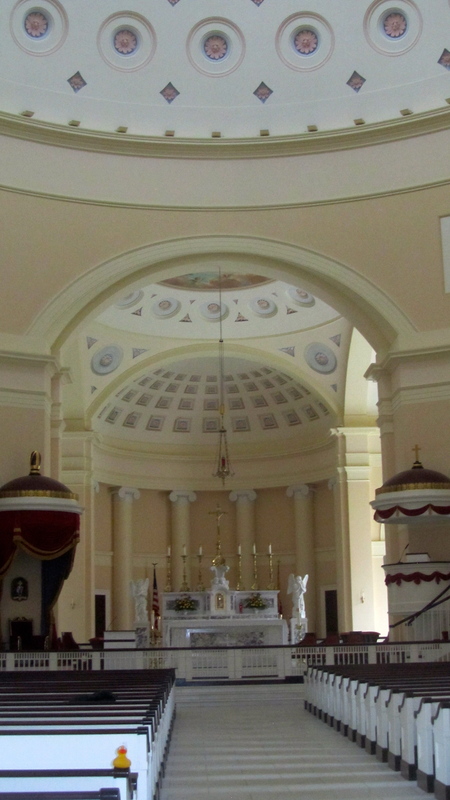 Benjamin Henry Latrobe, America’s first professionally trained architect, designed this Basilica. The exterior is impressive. 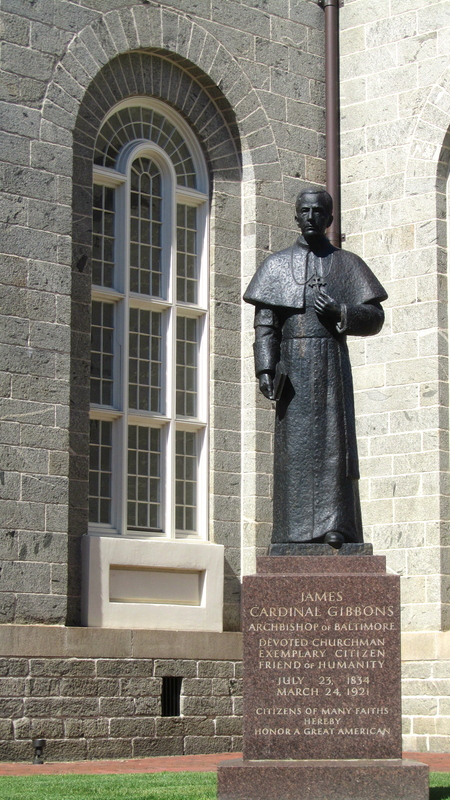 I liked this statue of James Cardinal Gibbons, the ninth Archbishop of Baltimore. The back of the basilica features Pope John Paul II Prayer Garden. 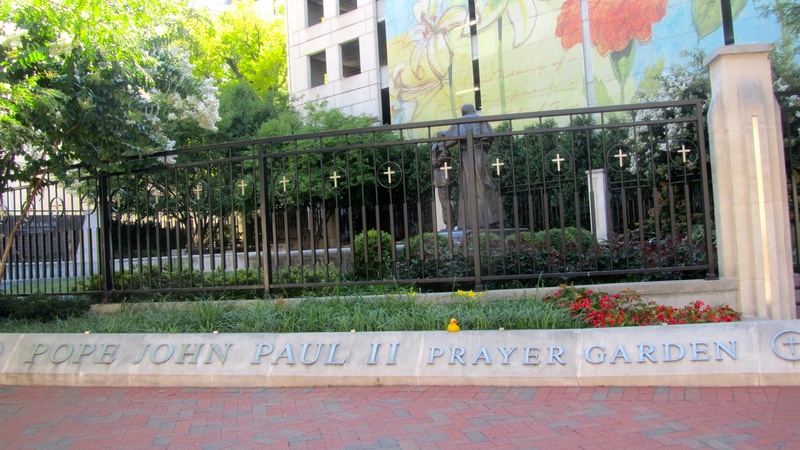 The garden commemorates Pope John Paul II’s visit to Baltimore in October 1995. Inside, the basilica is elegant. 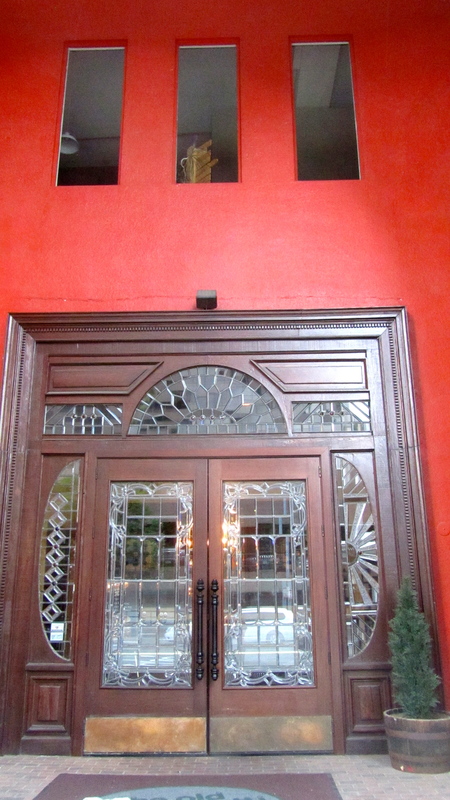 Upon entering, busts of two cardinals greeted me. 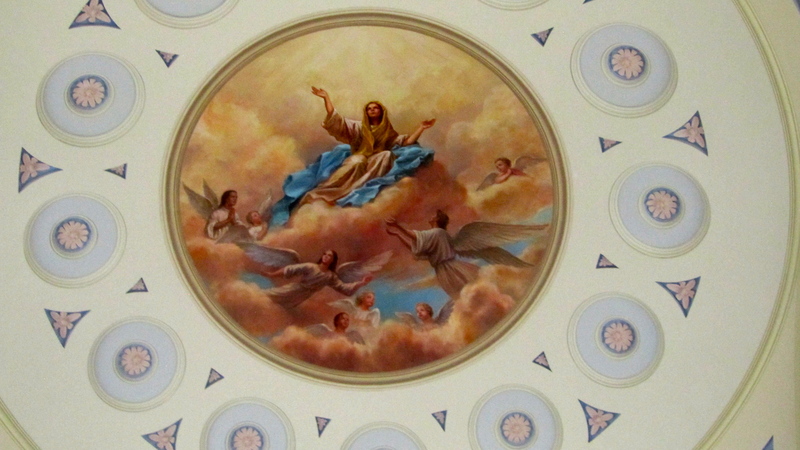 Looking up, we admired this ceiling painting. Looking ahead the altar was beautiful. 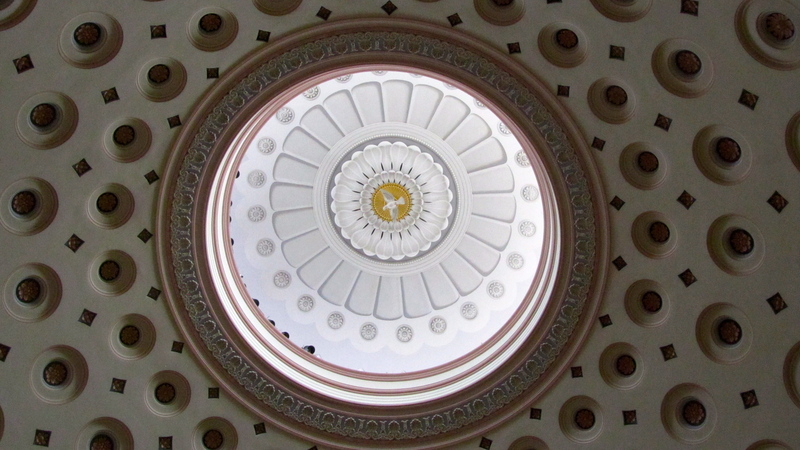 The inside of the dome is stunning. 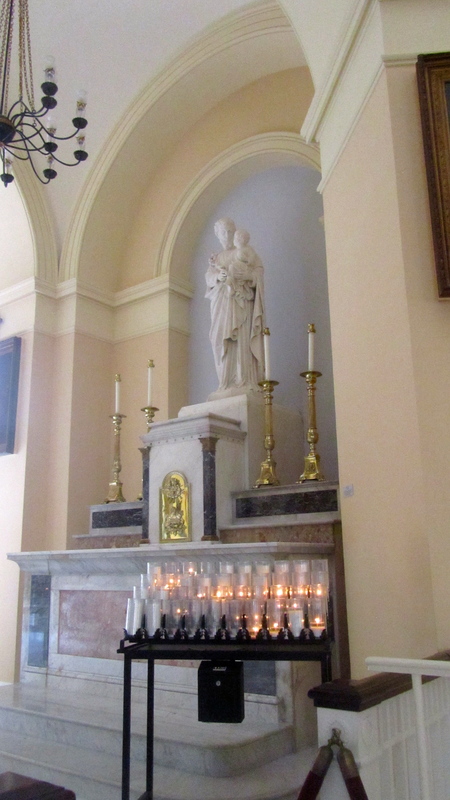 This statue with candles is so serene. 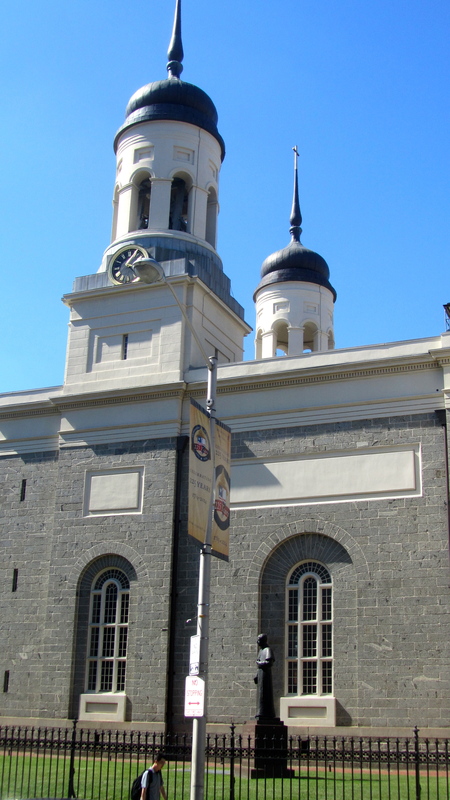 The basilica was constructed between 1806 and 1821. 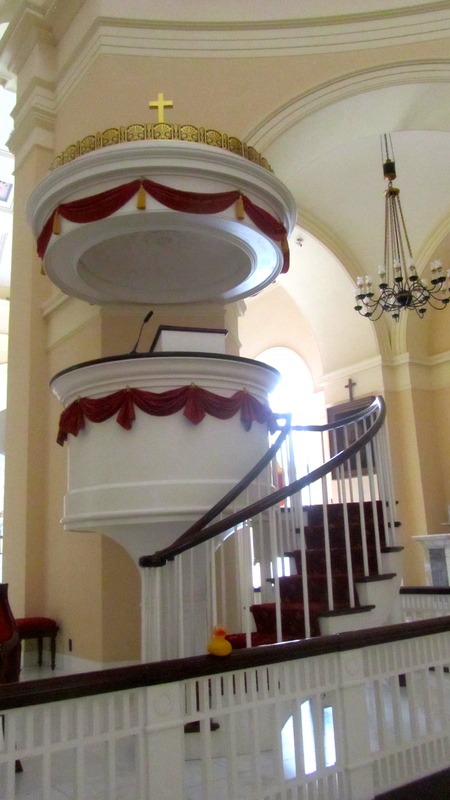 It was consecrated May 31, 1821. 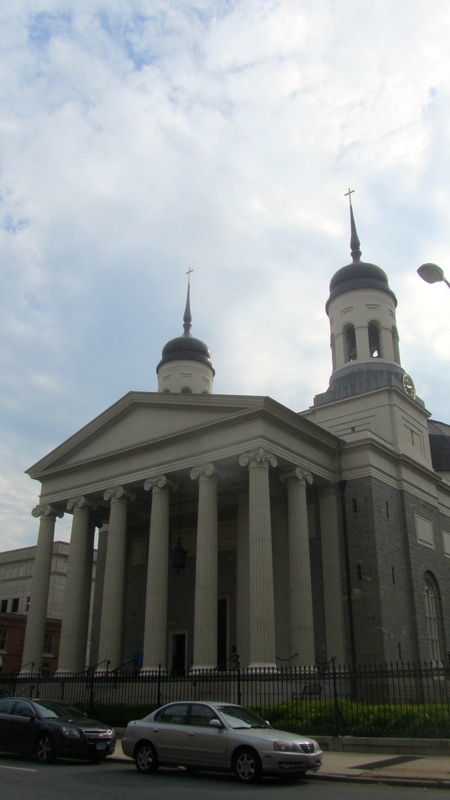 When you visit Baltimore, be sure to enter the Basilica of the National Shrine of the Assumption of the Blessed Virgin Mary. 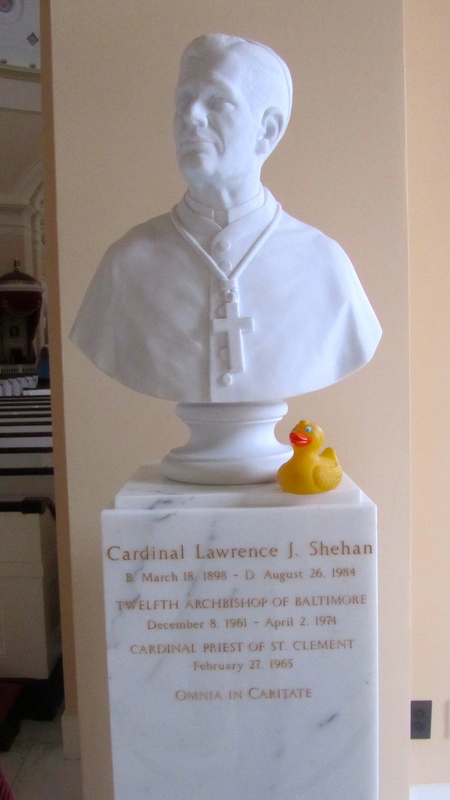 Visit the Baltimore Basilica soon. 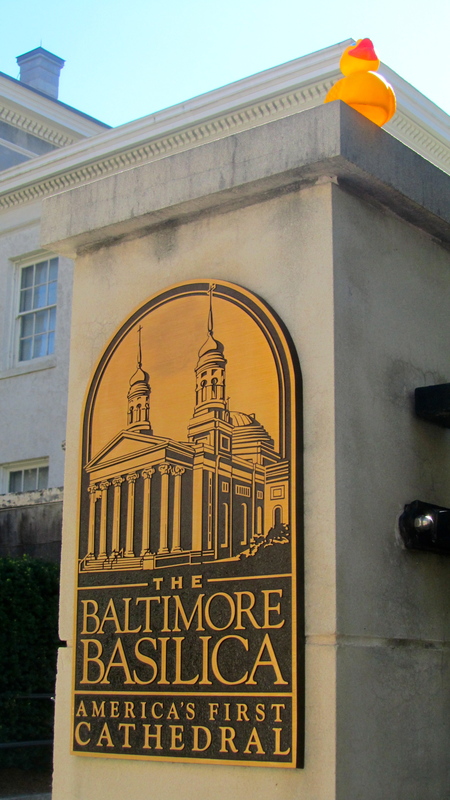 However, it is usually called the Baltimore Basilica. You will enjoy spending time here. Another reason to love Colorado! We can go to Aspen for a few hours. No need to buy an airline ticket, reserve a hotel, or even plan ahead. Today I, Zeb the Duck, Soapy Smith Duck and mom spent the afternoon enjoying Aspen. We could stay longer if we want to, but this was just an afternoon as we were exploring our Colorado Mountains. 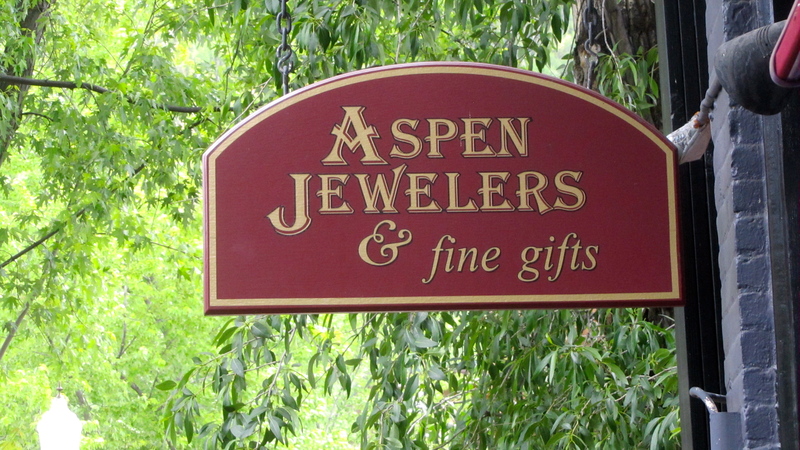 The shopping in Aspen is wonderful. This was mom’s first stop. 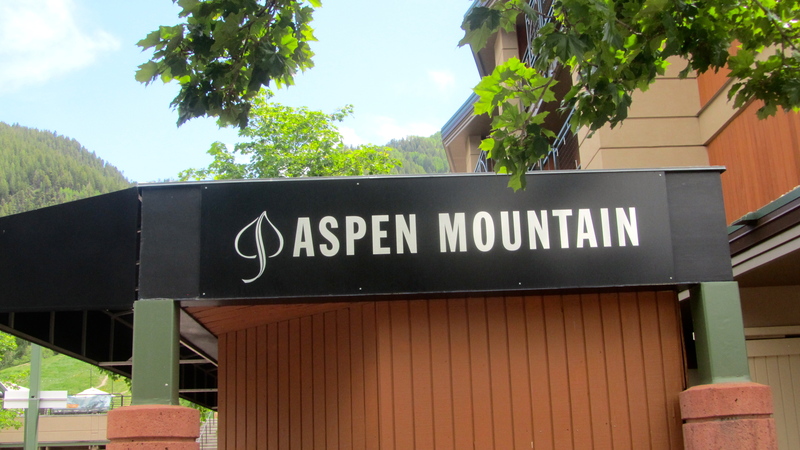 A couple blocks down the street is Aspen Mountain. After all, Aspen is a first class ski destination. Always be prepared when going to the top of a mountain. 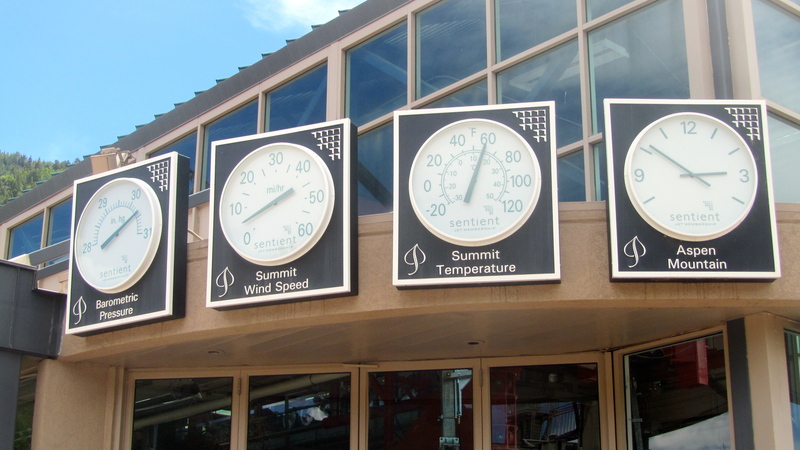 As you approach the gondola, you can learn the barometric pressure, summit wind speed, summit temperature, and the time at Aspen Mountain. Information and knowledge is always good. 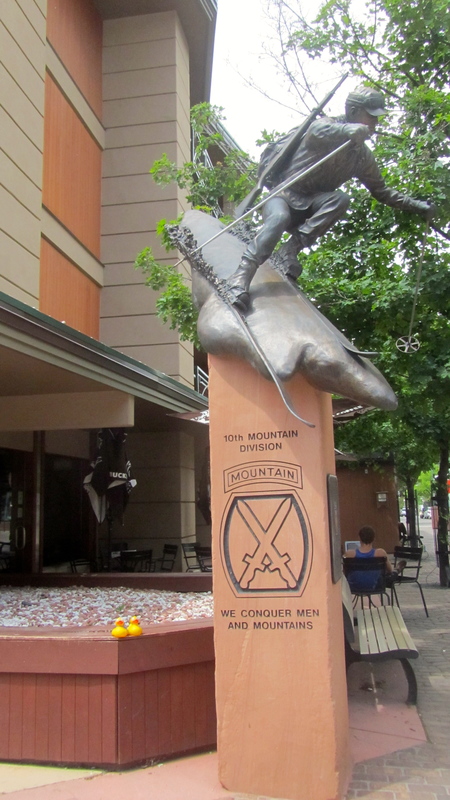 Near Aspen Mountain we loved this statue of a 10th Mountain Division soldier. We learned about the 10th Mountain Division in Leadville. A proud American unit. 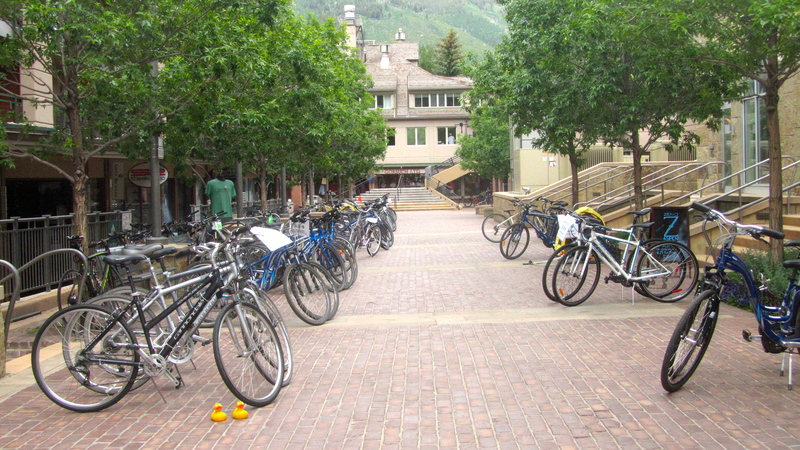 Many people ride bicycles in Aspen. If you didn’t bring yours, rent bicycles here. Maybe you will pedal to the famous hotel, The St Regis. 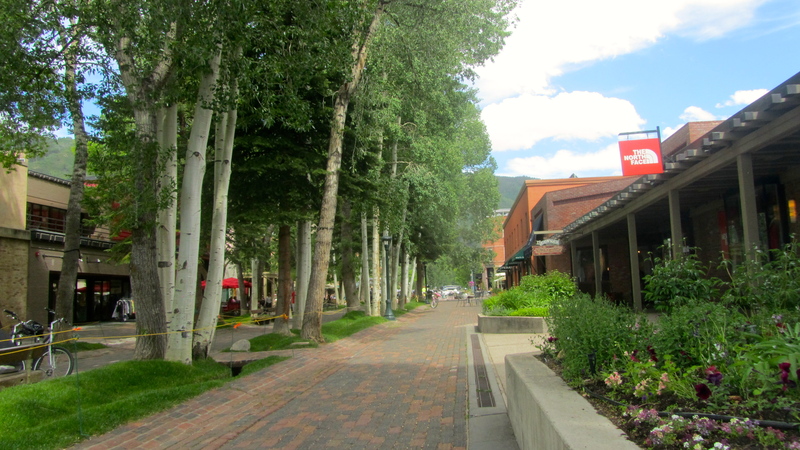 Aspen is very friendly for pedestrian and bicyclists. Exploring the area required a snack for us. So, we stopped at the Rocky Mountain Chocolate Factory. This is one of our favorite places. Remember to drink plenty of water in the mountains. 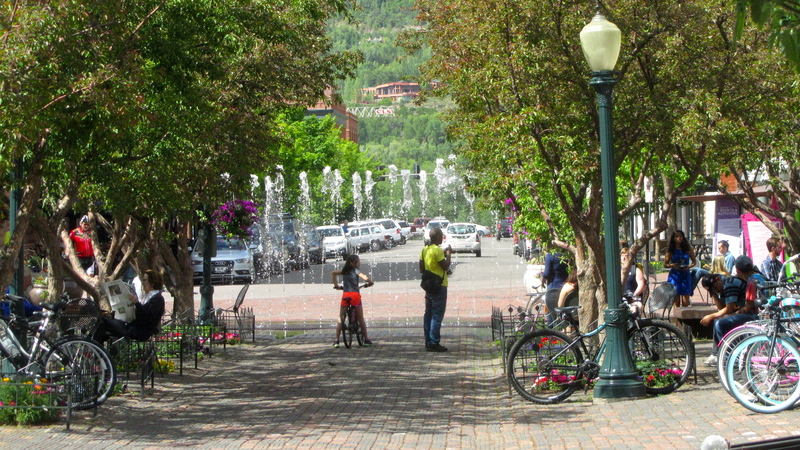 Aspen has fountains where children can cool down. Looks like fun! 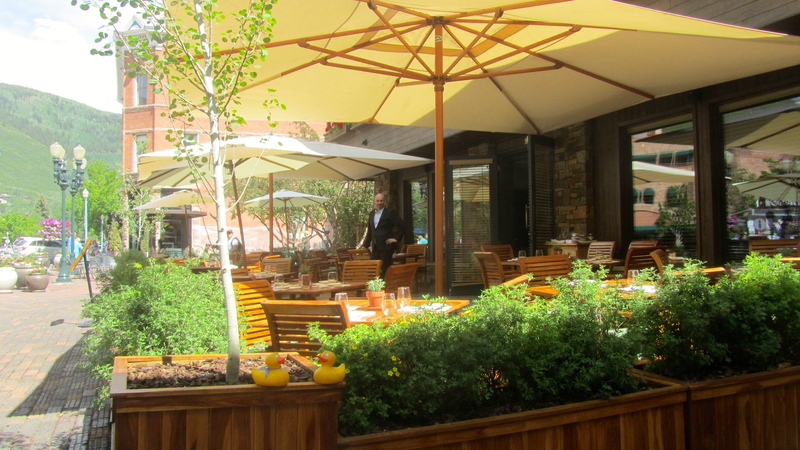 This restaurant is opening and ready for diners. Such a nice setting. 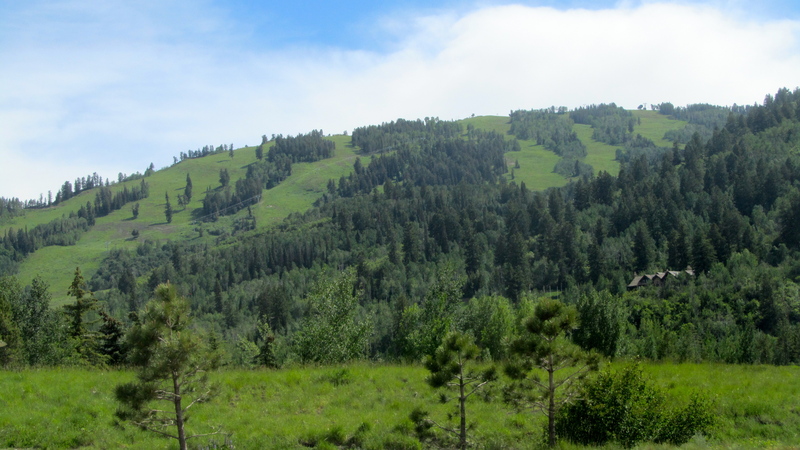 You know Aspen is a world class ski resort; enjoy this summer view of some ski runs. Visit Aspen soon. It is breathtaking in any season. You will like Aspen, we do. Visit http://www.ColoradoTravelingDucks.com/2014/07/18/heritage-museum-and-gallery-in-leadville-colorado/ to learn more about the 10th Mountain Division. 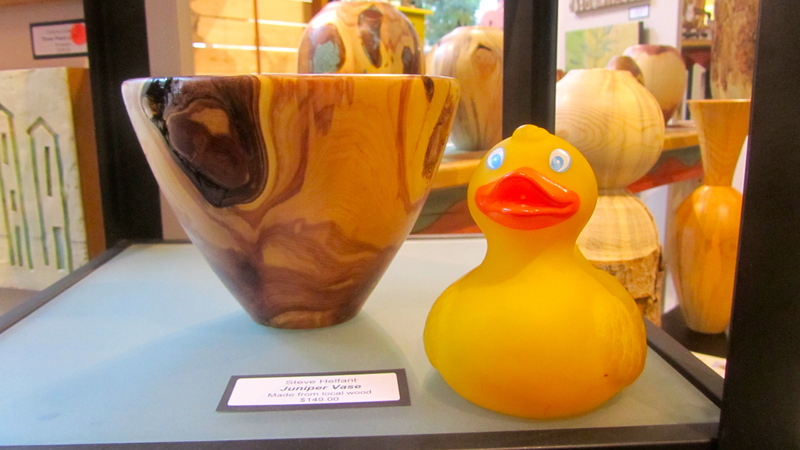 I, Zeb the Duck, went to the Boulder Arts and Crafts Gallery. Steve Helfant had an exhibit there. Mom and I learned about him in Denver’s magazine 5280. Here are examples of Steve’s work. Steve, a high school English teacher, began turning in the school’s woodshop. With the help of the shop teacher, he was soon addicted. Steve often uses pine from trees that have been killed by the beetles. 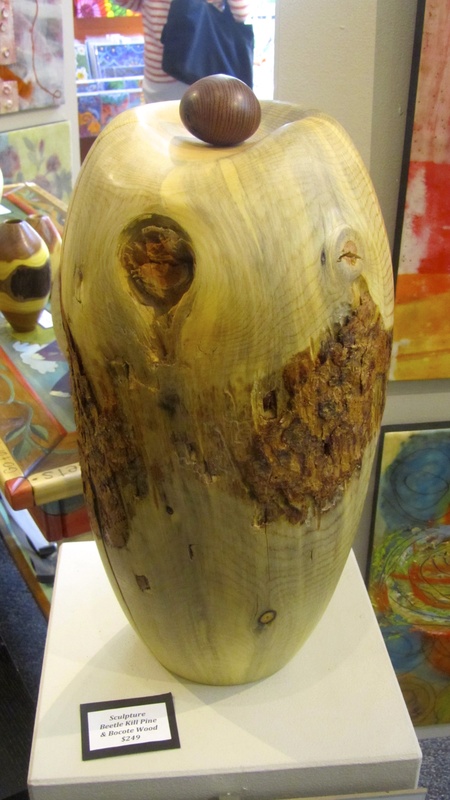 This pine vase, made from beetle kill pine is really nice. In this juniper vase Steve added turquoise. We like it, Steve. 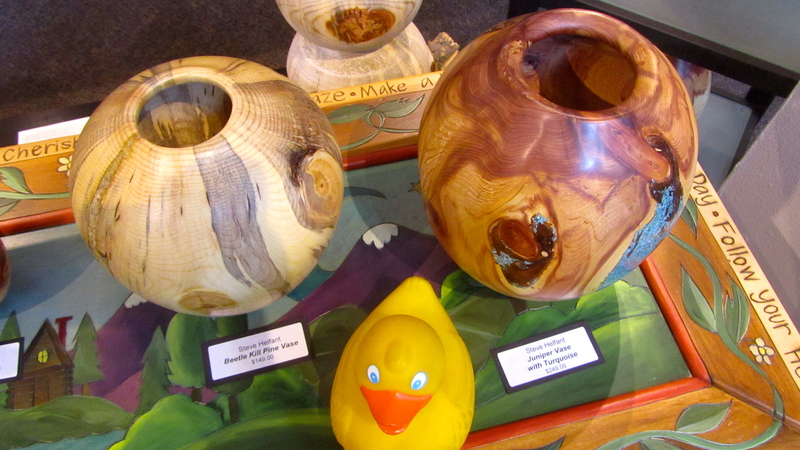 Steve’s style of wood turning is a fluid, spontaneous process. Once a raw piece of wood is mounted on the lathe, the piece itself takes over, evolving and taking on a life of its own. These pieces by Steve show his style. The accompanying page tells about using beetle kill pine in his artwork. This sculpture, made from beetle kill pine and bocote wood is one of my favorites. 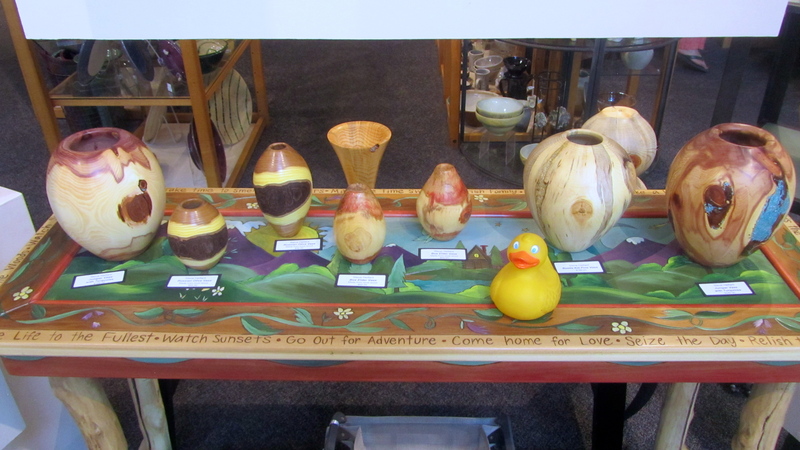 We really enjoyed our visit to Boulder Arts and Crafts Gallery and we think you would like it, too. 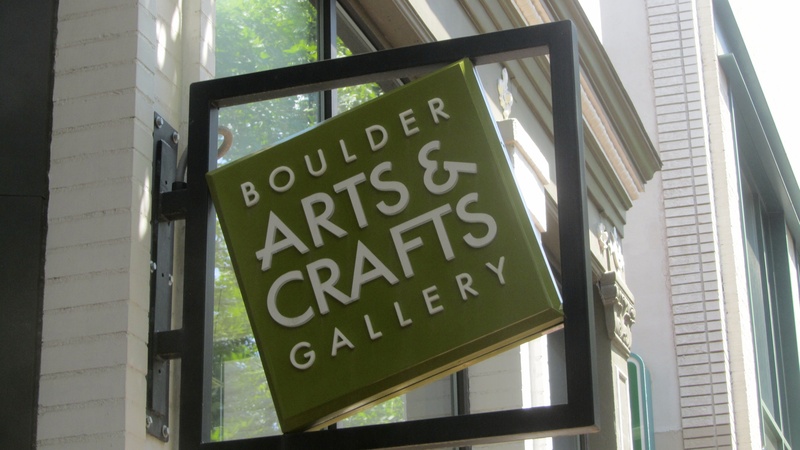 For more information visit www.boulderartsandcrafts.com You will see works from many artists in this gallery. 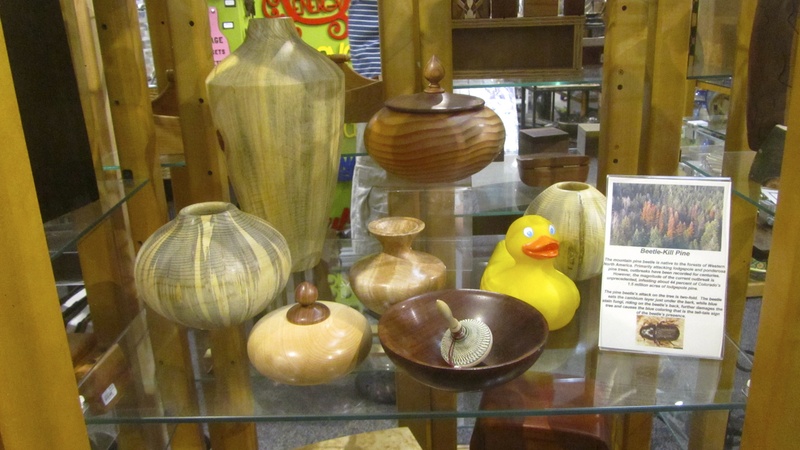 To learn more about Steve Helfant’s wood pieces visit http://naturalturnings.tripod.com We hope to see you there soon. Zeb the Duck here to tell you about Leadville, Colorado in the 1800’s. Silver mines were profitable, and everybody was looking for fast money. Prostitutes were plentiful, street merchants and entertainers were everywhere. 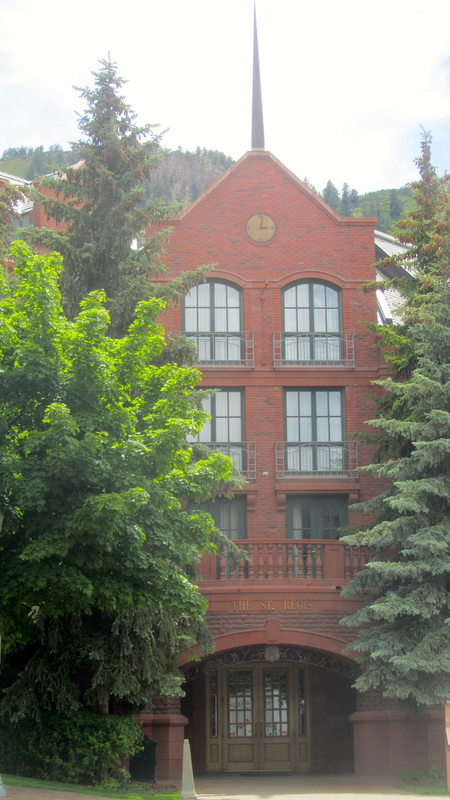 Even Doc Holiday was in Leadville; arrested twice in three days for attempted murder. Con men were also very common on the streets of Leadville. One of the con men was Jefferson Randolph Smith II. He began selling soap. He wrapped a $100 bill around a bar of soap, re-wrapping it with his own label, and placed it in a box with other bars of his “Sapolion” soap. Walking into a saloon with the soap, his silent partner purchased a bar of soap and opened it in front of the saloon patrons. What a surprise. There was a crisp one hundred dollar bill under the wrapping! Needless to say soap sales escalated at a phenomenal rate for “Soapy”. Soapy soon left town, (a necessary move) relocating in Creede, Colorado and then to Alaska where he was killed in a gunfight on July 8, 1898. Leadville will always remember “Soapy” Smith. Now you know why JB Duck, Eider Duck, myself (Zeb the Duck) and the little ducks always have to watch our “Soapy” Smith Duck. He is quite the scoundrel. Zeb the Duck here and I have to tell you about my neighbor, Greer Ramsey-White. Greer is a very accomplished violin player. 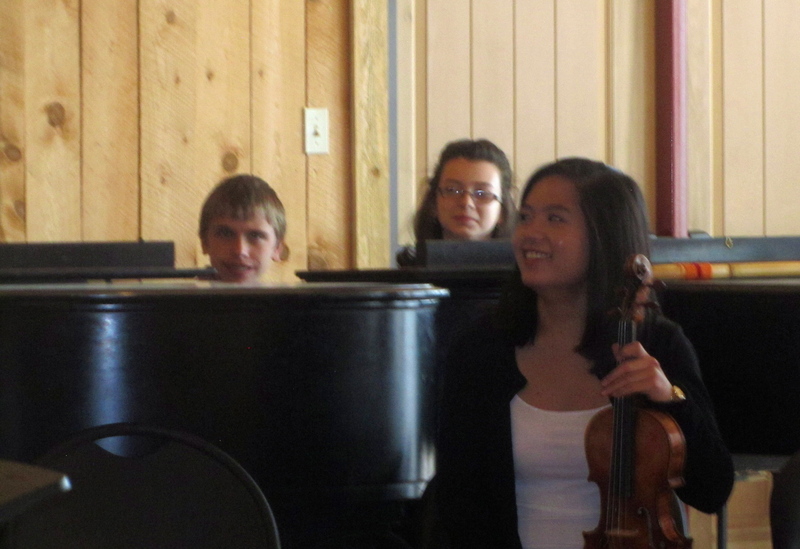 She went to Rocky Ridge Music Center near Estes Park, Colorado. 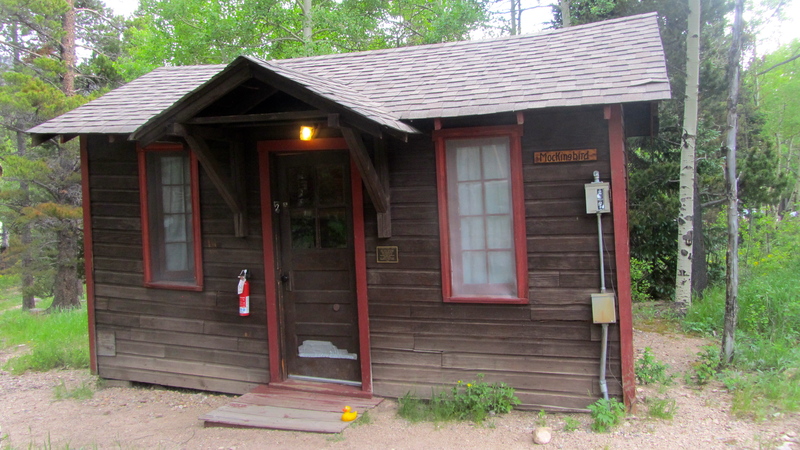 This camp is on 17 wooded acres in the Rocky Mountains. The camp sits at the foot of 14,259 foot Longs Peak. 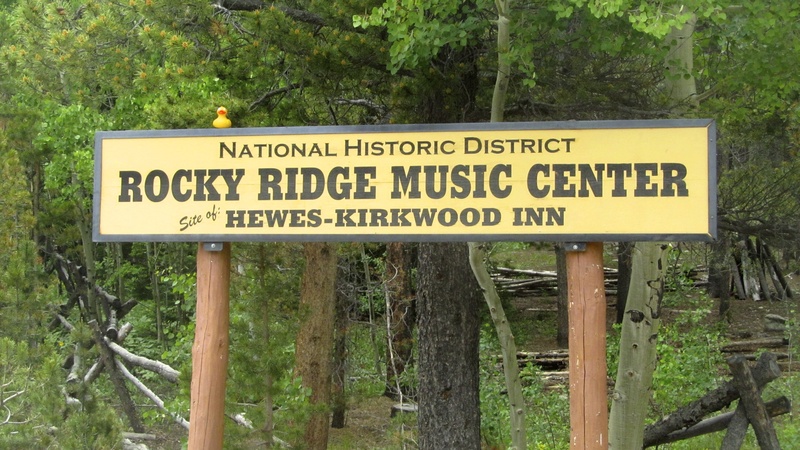 Rocky Ridge Music Center opened as a music camp in 1942. This place is beautiful. 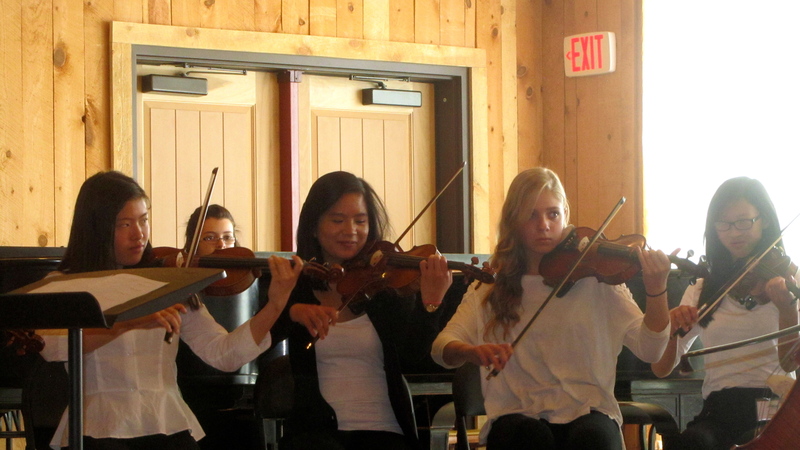 The last day of camp featured a concert for parents and friends. Fantastic! Greer is playing her violin with a group here. In this piece my neighbor, Greer, is concertmaster. Greer stayed at Rocky Ridge Music Center for two weeks. She liked this camp. I liked the concert and the camp was so pretty. Greer and all the campers stayed in cabins like this one. My neighbor, Greer, attends Denver School of the Arts in Denver, Colorado. 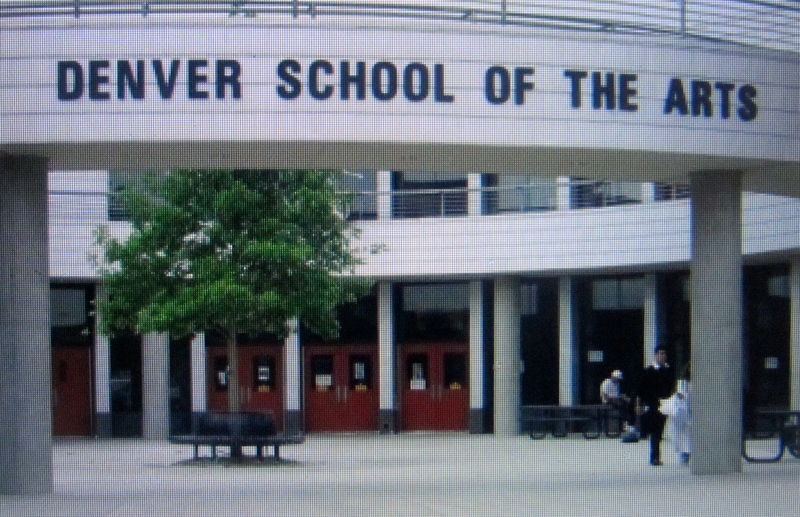 Denver School of the Arts is a comprehensive secondary arts magnet school (grades 6-12) in the Denver Public School District. Admittance to this school is by audition only; so all students are very talented. Of course, I think Greer is one of the most talented. If you follow music you may know of Greer Ramsey-White. If you don’t know of her, you will in the future. Greer is an excellent violin player. When the concert was over, we returned to Denver. 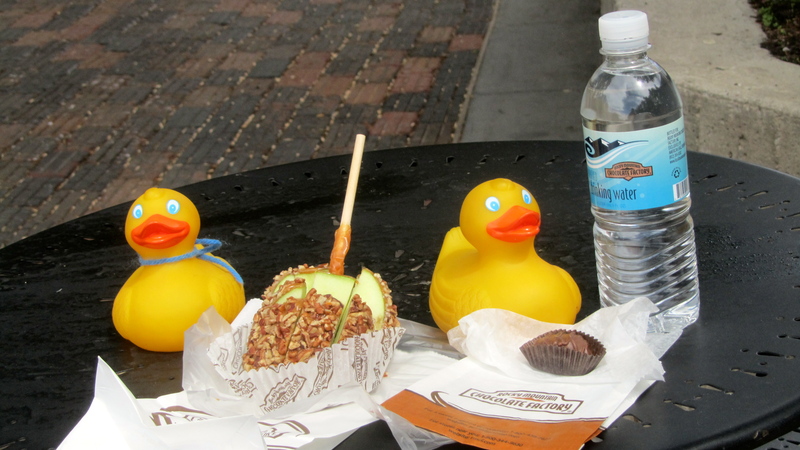 All that music and camp makes humans and ducks hungry. 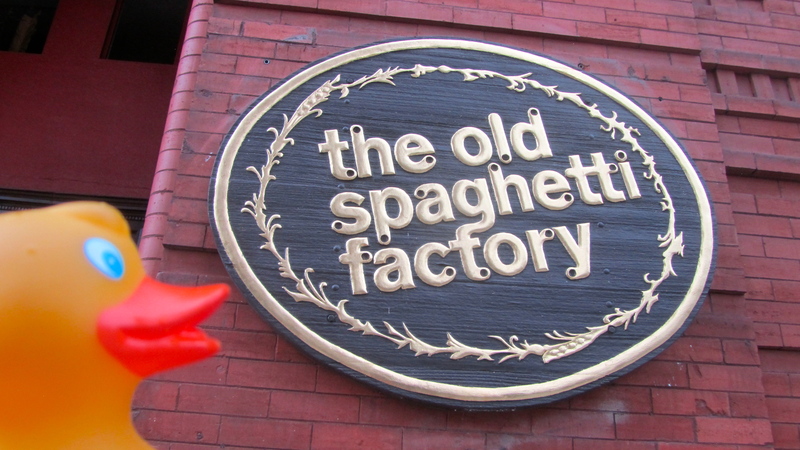 The Old Spaghetti Factory is a favorite restaurant. This old building has a beautiful front door. You can eat at regular tables or you may decide to eat in this car. 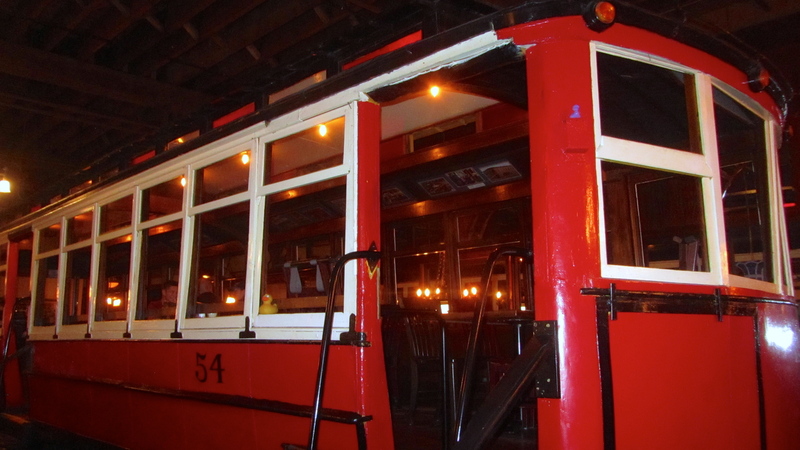 This car is inside the main room of the restaurant. 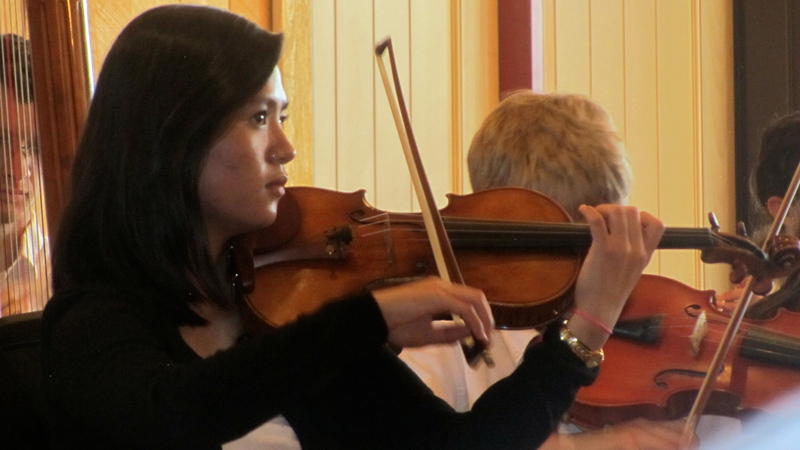 Greer is an accomplished violin player, but she is also a normal, happy teenage girl. And she is one of my favorite neighbors! 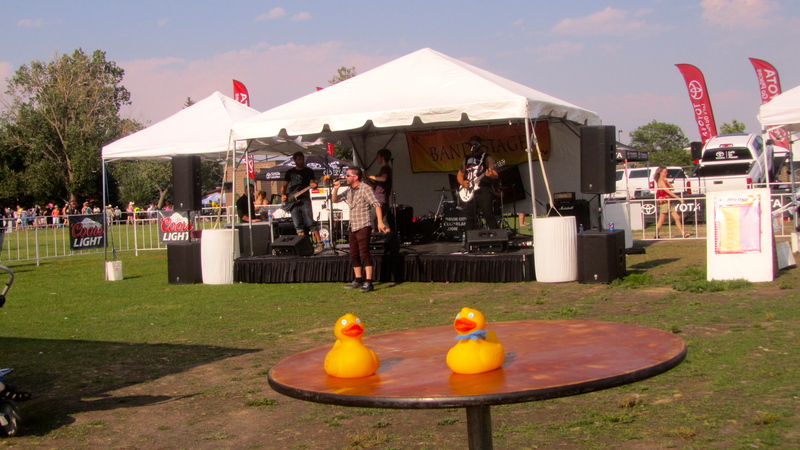 I, Zeb the Duck, Soapy Smith Duck and our moms went to Colorado’s 14th annual Dragon Boat Festival at Sloan’s Lake Park in Denver. 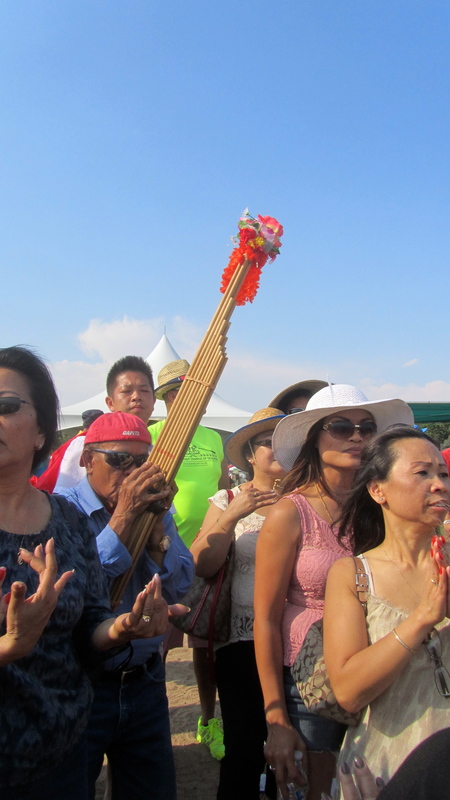 There were 3 stages with live entertainment. First we saw Saving Avery perform on the Band Stage. 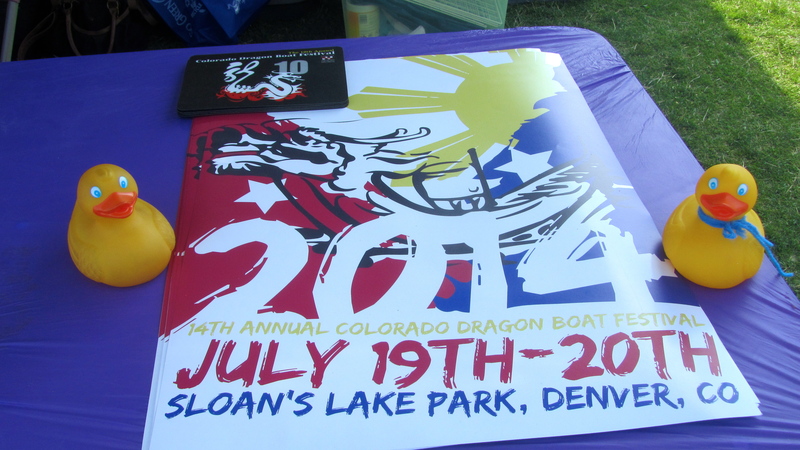 Then we headed to Sloan’s Lake to watch the dragon boats. 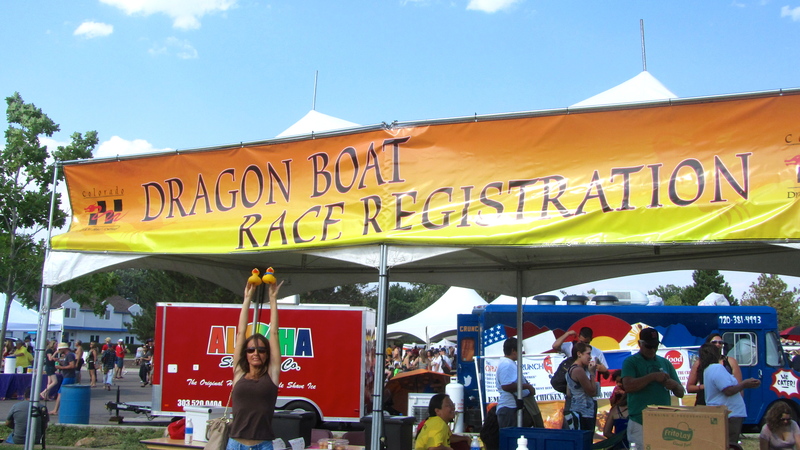 This is where the teams must register for their race. 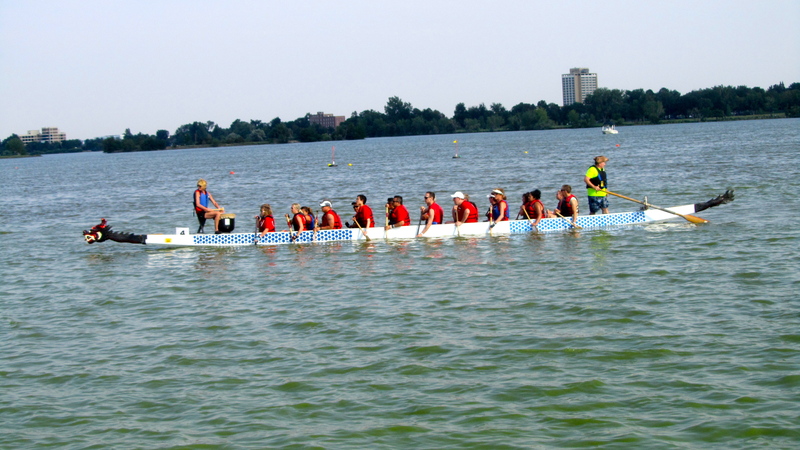 We watched the team get on this boat and head to the starting place for the race. 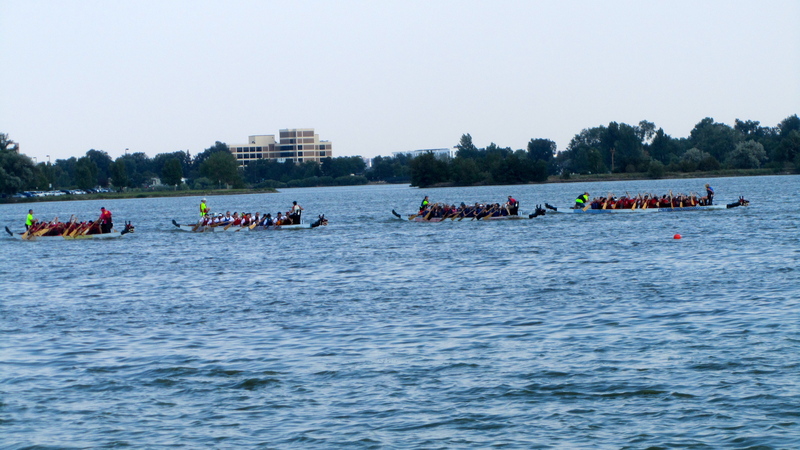 Four boats competed in this race. You can see that it was a close race. Fans cheer their team during the race. 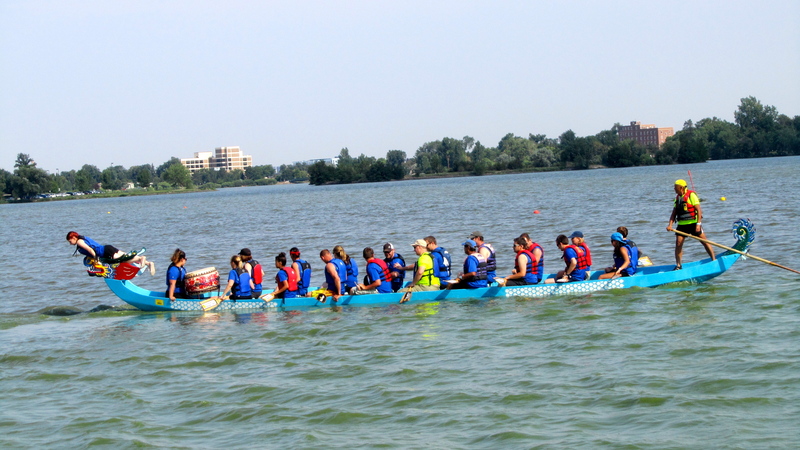 When the race ended, the dragon boats head back to shore. 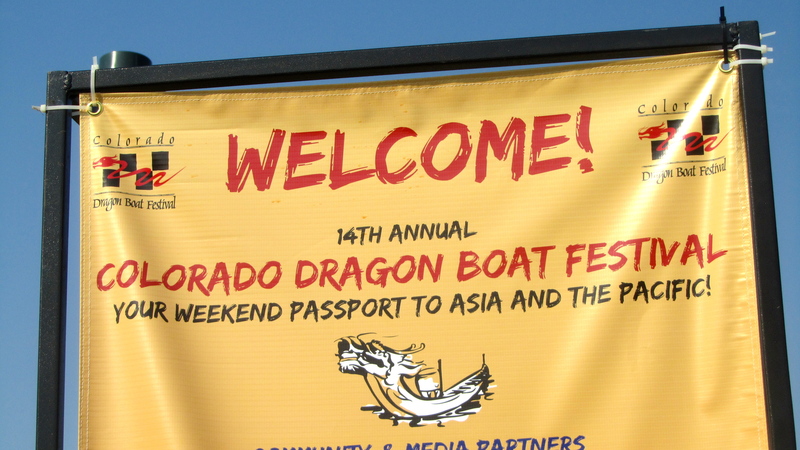 There were dragon boat races all day Saturday and all day Sunday. 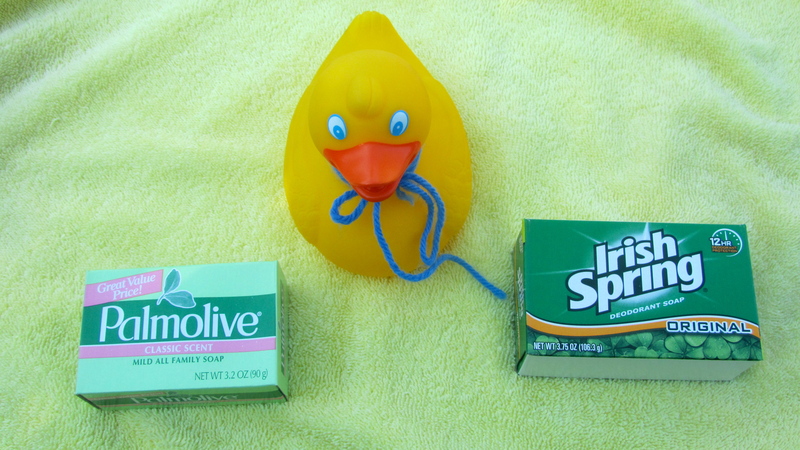 As ducks, we love water activities. We watched the popular group, Hype 303 on the main stage. Very talented! 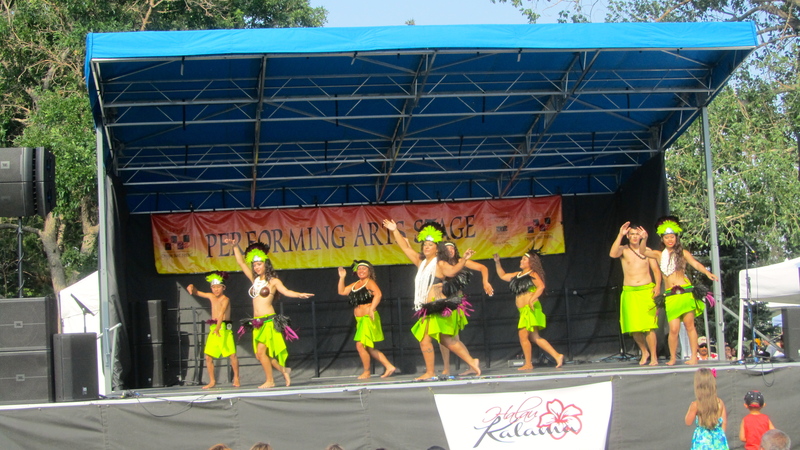 Next was Halau Kalama, a hula group. WOW!! This is a great place for entertainment. Walking around the park we admired the official poster. 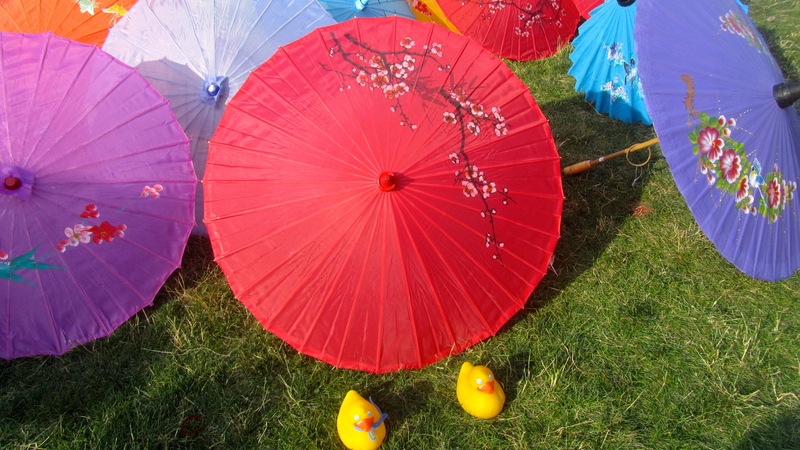 These umbrellas were displayed on the grass. Very colorful. A lady purchased one while we were there. 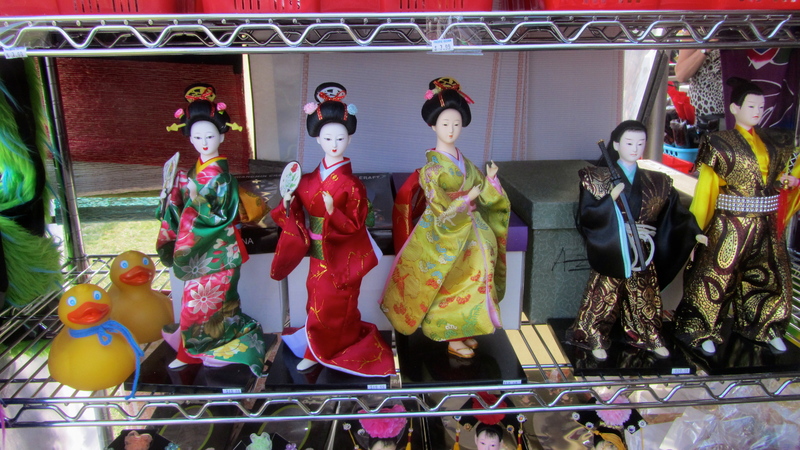 Another store was selling these dolls. 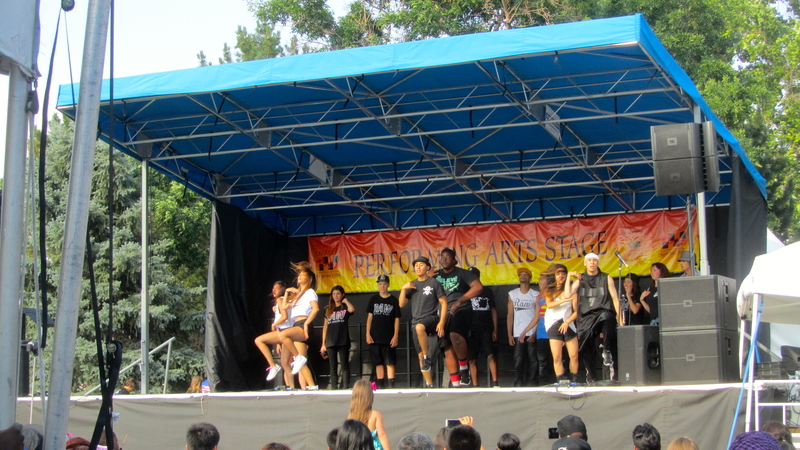 Next we enjoyed this group from Filipino-American Community of Colorado. This is the Explore Asia stage. This group is preparing for the next act. Zeb and Soapy can do this! I think they are the duck duo. 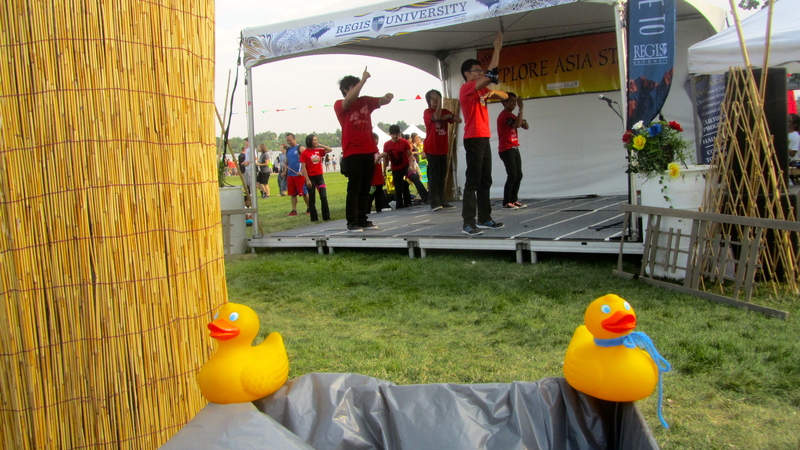 We really liked the Dragon Boat Festival. Great food also! I hope we see you there next year. Today, July 20, 2014 is National Ice Cream Day! How exciting for humans and for ducks! In 1984 President Ronald Reagan designated July as National Ice Cream Month. He also declared that the third Sunday in July would be National Ice Cream Day. We’re definitely thankful, because ice cream is a summertime (or anytime!) favorite for people of all ages. A favorite for ducks also. With hundreds of flavors and toppings to choose from, you can’t go wrong with ice cream! Happy National Ice Cream Day! Enjoy your favorite kind today.